The new Audi e-tron FE04 has left a strong impression at the official pre-season testing of the Formula E electric racing series at Valencia (Spain). Team Audi Sport ABT Schaeffler from Monday to Thursday completed the largest number of test kilometers of all ten teams. The lap times of the first all-electric Audi race car were promising as well. 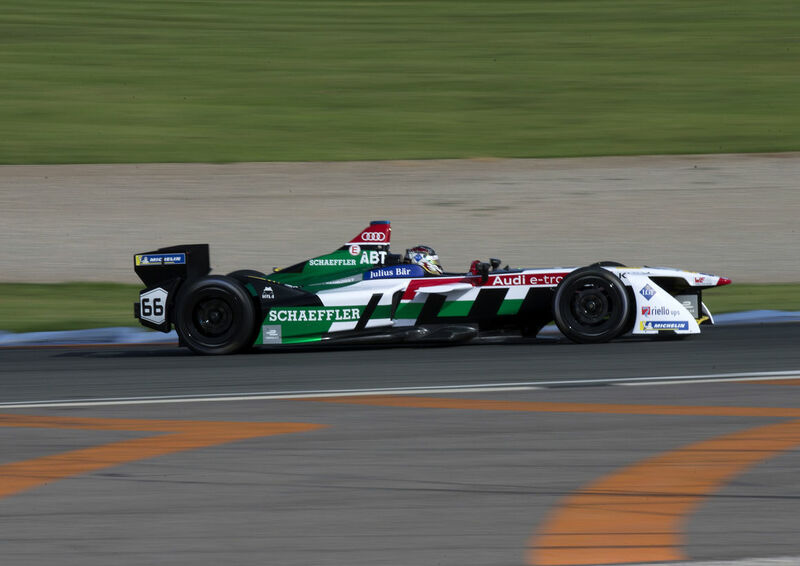 New Audi factory driver Daniel Abt (Germany) and title defender Lucas di Grassi (Brazil) reeled off an extensive test program with the four race cars of Team Audi Sport ABT Schaeffler in high summer temperatures of up to 30 degrees centigrade in the shade. The program was focused on race simulations and optimization of the energy management of the new motor-generator unit (MGU) which now only has one forward gear. In spite of the heat, the four Audi e-tron FE04 ran with complete reliability on all three days, so enabling Daniel Abt and Lucas di Grassi to reel off a total of 474 laps on the three-kilometer Circuit Ricardo Tomo near Valencia, which equates to a distance of 1,466 kilometers – equalling the race distance of a whole Formula E season. The two Audi drivers were regularly part of the top group, although the absolute best times are only of limited significance: testing was only permitted with the full qualifying power of 200 kW twice per day and per car. In addition, the track configuration was modified by a second chicane on the start-finish straight during the test. From now on until the season opens in Hong Kong on December 2 and 3 testing is prohibited in Formula E. The four Audi e-tron FE04 cars will be completely dismantled and reassembled once more at the team’s base in Kempten. In mid-November, they will be flown from England to Hong Kong.